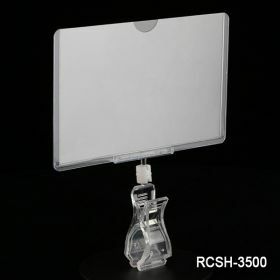 Minimum quantity for "Roto Clip with Print Protector/Sign Holder, RCSH-3500" is 25. 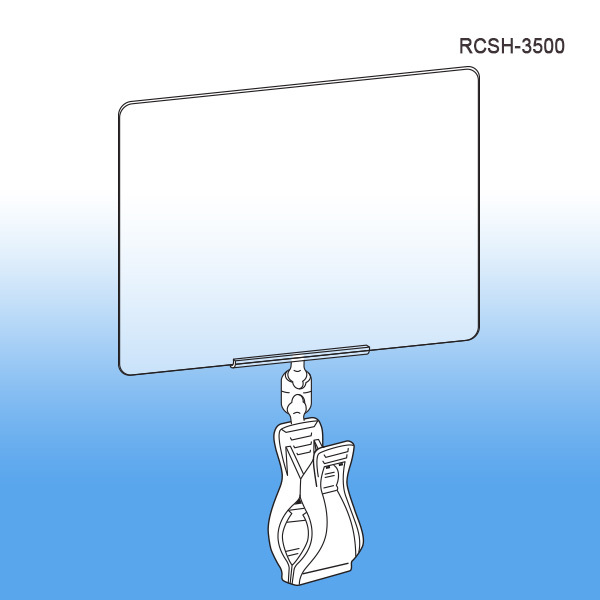 Anti-skid, spring-tension clip grips firmly around fixtures, racks, grids - up to 1" thick! 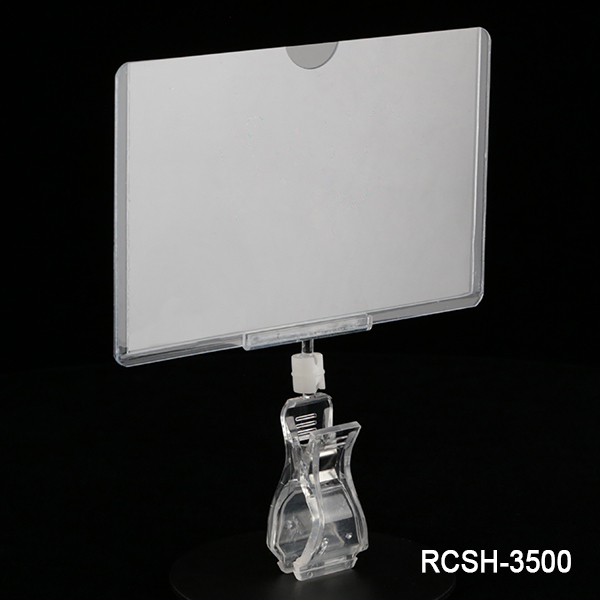 Crystal clear plastic construction never competes with your message or your product!